Rated “One of the top 100 New Hotels in the World” by Condé Nast Traveler Magazine, Magnolia Houston, A Tribute Portfolio Hotel, was originally the home of the Houston Post Dispatch newspaper and later the corporate office for Shell Oil Company. After extensive renovations, this 1926 historic landmark is now one of Houston’s most distinct properties. Located in the heart of downtown Houston, discover a destination dedicated to pure hospitality at www.magnoliahotels.com/houston. 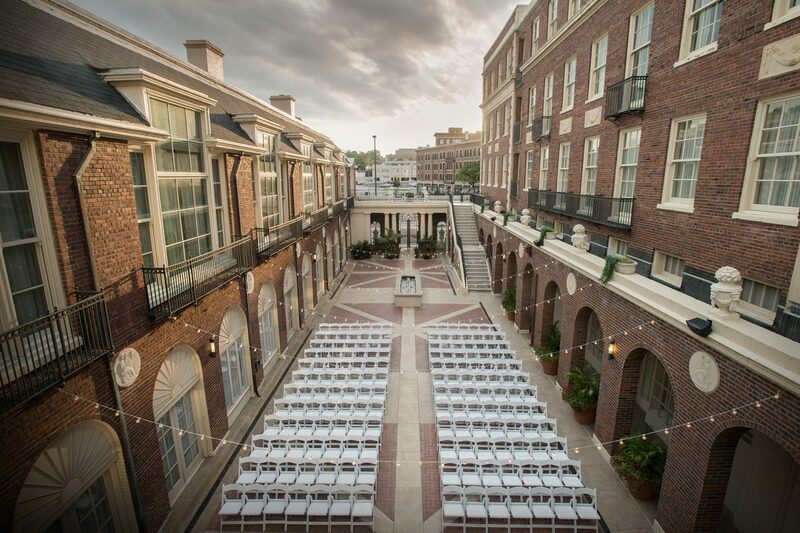 The Magnolia Houston hosts a wide variety of Special Event functions in its over 16,000 square feet of meeting and ballroom space. Banquet Events Servers provide tableside, buffet or tray-passed service for the variety of special events held in the Hotel. It is a position that requires precision, attention to detail, teamwork, and attentiveness to guest needs. Banquet Events Servers may be scheduled to work on weekday and weekend day and evening events. Set tables or stations according to the BEO and Banquet Captain’s direction. Conduct quality check on linens, china/glass/silver while setting. Serve according to the function’s BEO, be attentive to guest needs at all times. Clear the course plates, prepare for next course, clear tables at designated time. Exercise service recovery when necessary, involve Captain if necessary. Follow Hotel’s Liquor Serving policies and procedures. Follow Hotel F&B sanitation standards for handling & serving food. Assist if necessary in breaking down the special event function. Previous banquet serving experience. Physical ability to complete all tasks of the position; long periods of standing, bending, lifting, pushing, pulling. Ability to professionally carry up to ten covered entrée plates up to 50’ and set them on a tray jack. Willingness to serve alcoholic beverages to guests. Ability to become TABC certified.